SAN DIEGO FILM FESTIVAL comes to San Diego September 23rd to the 28th! Join MOVIE MAVEN and FILM BRAT as we cover fantastic short films and moving Military films during our week long amazing coverage of the festival. We would love to hear what you have to say so stop us while we are running around the festival and say hello! Begins this week including a star studded evening in celebration of films, filmmakers, actors, animation, shorts and the list goes on and on! This is an amazing opportunity for San Diegans to see some of the best and brightest. 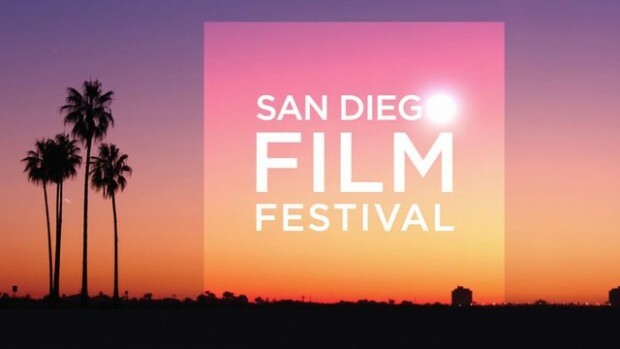 Go to www.sdfilmfest.com to see a complete list of what will be offered this year and especially how you can purchase tickets or a pass for the entire festival – which I highly recommend! Below is just a few of the amazing things to be seen and experienced this year! When Chelsea King was raped and murdered by a known child predator in the San Diego community, a light was sparked to empower change and prove that even in darkness we must embrace hope. Her brother Tyler tells his story and works to spread “Chelsea’s Law” across the country in an effort to protect our most precious resource, our children. This documentary is Chelsea’s redemption. Rebecca (Juliette Binoche) is one of the world’s top war photojournalists, capturing dangerous and chilling images in the most dire landscapes, all in an effort to shed light on the real cost of modern war. But she’s also a wife and mother, leaving behind a husband and two young daughters every time she travels to a new combat zone. After a near-death experience chronicling the ritual of a female suicide bomber, husband Marcus (Nikolaj Coster-Waldau) levels an ultimatum: give up the dangerous profession or lose the family she counts on being there when she returns from each assignment. Yet the conviction that her photos can make a difference keeps pulling at Rebecca’s resolve, making it difficult for her to walk away entirely. With an offer to photograph a refugee camp in Kenya, a place allegedly so safe that daughter Steph (Lauryn Canny) is allowed to join her, Rebecca comes face to face with just how much she risks each time she steps back into the fray. In Wild, director Jean-Marc Vallee (Dallas Buyers Club), Academy Award winner Reese Witherspoon (Walk the Line) and Academy Award nominated screenwriter Nick Hornby (An Education) bring bestselling author Cheryl Strayed’s extraordinary adventure to the screen. After years of reckless behavior, a heroin addiction and the destruction of her marriage, Strayed makes a rash decision. Haunted by memories of her mother Bobbi (Academy Award nominee Laura Dern) and with absolutely no experience, she sets out to hike more than a thousand miles on the Pacific Crest Trail all on her own. WILD powerfully reveals her terrors and pleasures –as she forges ahead on a journey that maddens, strengthens, and ultimately heals her. Four astronauts have to stay 1000 days in a space station around Earth in order to prove that a trip to Europa, one of Jupiter’s moon, is possible. The experience goes well until something happens on earth. A couple struck in a lackluster marriage treats their dog like a baby. Working the grink in LA they leave little time for each other, and what free time they have they spend doting on the dog…until it gets kidnapped! A decorated Army medic and single mother (Michelle Monaghan) returns home from an extended tour in Afghanistan to discover that the bond with her five-year-old son has been shattered. In her absence, the boy has attached to his father (Ron Livingston) and his new girlfriend (Emmanuelle Chriqui). As she struggles to reclaim her son’s affection and reintegrate into civilian life, she meets a mechanic (Manolo Cardona) with whom she becomes romantically involved. Just as her life begins to stabilize and the bond with her son shows signs of healing, she gets news of another deployment. She must now find a way to reconcile her duties as a mother and her obligations as a soldier. Edinburgh, late 19th Century, Little Jack is born on a day so cold that his heart remains frozen. In her house on top of a big hill, Madeleine that midwife replaces the defective organ with a cuckoo-clock. It will work, she warns him, as long as Jack doesn’t touch the hands of the clock, doesn’t lose his temper and, above all, doesn’t fall in love! Jack’s encounter with a fiery eyes little girl singing on a street corner and his decision to chase after her across Europe to Andalusia test the resistance of his makeshift heart to its breaking point. Orphaned by the brutal Civil war in Sudan that began in 1983, these young victims traveled as many as a thousand miles on foot in search of safety. Fifteen years later, a humanitarian effort would bring 3,600 lost boys and girls to America. In THE GOOD LIE, Philippe Falardeau brings the story of their survival and triumph to life. Academy Award winner Reese Witherspoon stars along side Sudanese actors Arnold Oceng, Ger Duany, Emmanuel Jal and new comer Nyakuoth Well, many of whom were also children of war. Armed only with their cameras, Peabody and Emmy Award-winning conflict Journalist Mike Boettcher and his son Carlos provide unprecedented access into the longest war in U.S. History. Kate (Hilary Swank) is a suave, successful classical pianist just diagnosed with ALS Bec (Emmy Rossum) is a brash college student and would-be rock singer who can barely keep her wildly chaotic affairs, romantic and otherwise, together. Yet, when Bec takes a job assisting Kate, just as Kate’s marriage to Evan (Josh Duhamel) hits the skids, both women come to rely on what becomes an unconventional, sometimes confrontational and fiercely honest bond. As meticulous, willful Kate begins to rub off on whirlwind, spontaneous Bec – and vice versa – both women find themselves facing down regrets, exploring new territory and expanding their ideas of who they want to be. Take a moment to visit www.sdfilmfest.com to discover the entire list of five days and 100 films! There is also the opportunity to attend the after party events to enjoy the cool evenings discussing everything we all get to experience from the festival. Once again, go to www.sdfilmfest.com and get your tickets…join us for an amazing experience!